Music makers are both professionals and "shower singers," but it is that former group, including the serious student, who need to consider afresh how to steward one of God's great gifts to human beings. In Music, Professor Timothy Stelle helps us understand such stewardship as more than "adding a few prayers before a performance or writing Soli Do Gloria on a score." (33). Shower singer or serious musician, Steele helps the reader grapple with two important questions: (1) "Will my study of music help me love and serve God better?" (2) "Can my learning in the discipline of music help me to live more faithfully?" 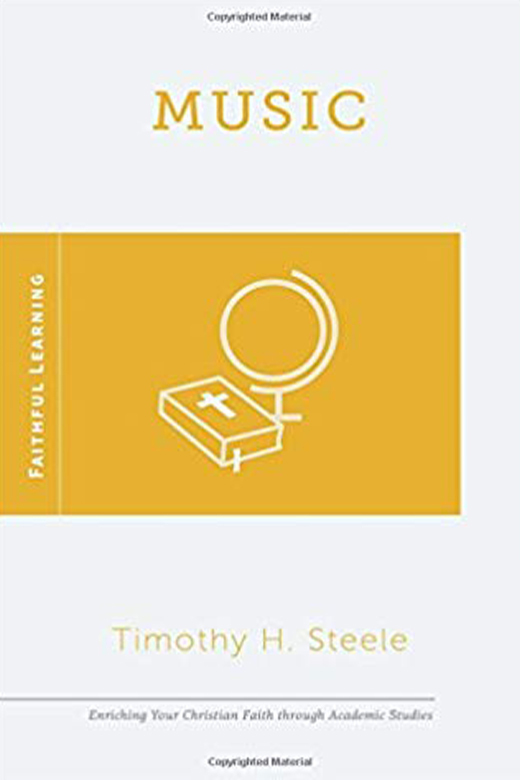 Steele won't push an opinion on you, but working through these pages he will help you begin to answer those questions with a resounding, "Yes."